Love love love turning Central Working (at Google Campus) into an after-hours restaurant for TableCrowd startup dinners. 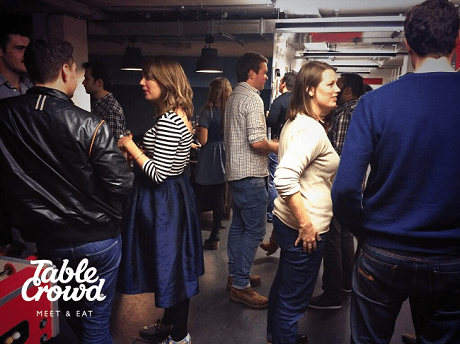 After a day packed to the seams with developers, startups and entrepreneurs beavering away, using every bit of available space (and power socket), we turn things on their head as our members join us for networking and dinner. 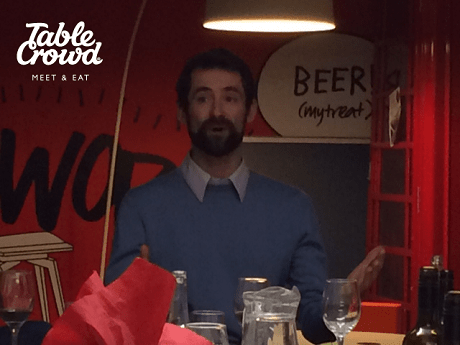 > Richard Brownsdon from Inspiring Adventures who uses his connections in social enterprise, ecotourism and travel to create inspiring adventures for people in the UK and beyond. Richard shared his story with us in a great after-dinner talk. > Raphaelle Heaf, founder of Art Spotter finally made it along to a dinner! She shared some of her experiences of incubators with the group. > Sean Obedih, from Founders Hive, a support network for startups. 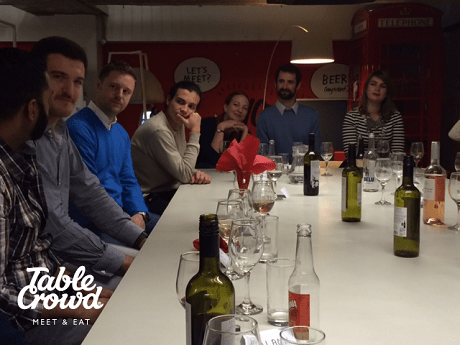 Sean runs his own monthly dinners on TableCrowd to tie in with the MVP demo days he hosts for Founders Hive. 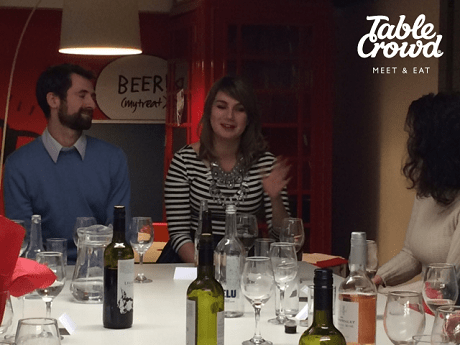 > The founders of Guideress, wife and husband team, Erin and Alan Hale, who are working on a travel startup which provides tailored advice for visitors to our capital. > Thomas Brimblecombe of Classic Grand Tours, a tour operator, specialising in driving tours to the finest historic races and classic events worldwide. > Felipe Zalamea of Sumak Sustainable Travel, a social enterprise specialising in sustainable tailored trips to Latin America. > Brenna Holeman, travel blogger at This Battered Suitcase and community manager at Expedia. 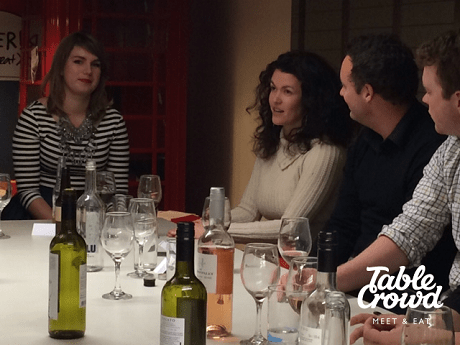 > Kate Andrews at Loco2, who’s simplifying travelling in Europe by train. 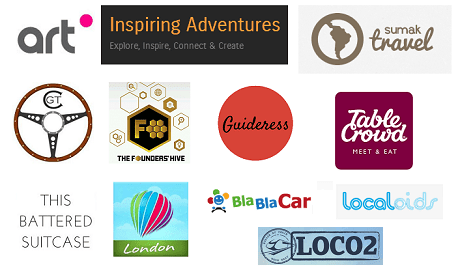 > Julia Pond at Gogobot, a social network for travellers. 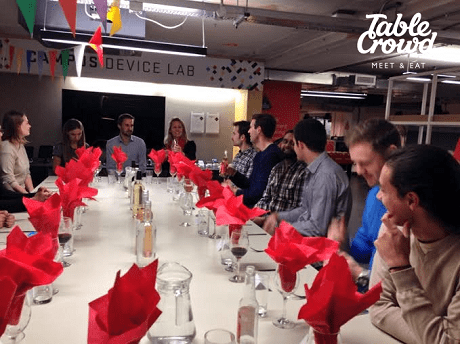 Earlier in the year, Gogobot and TableCrowd teamed up on a big social dinner for our respective members. Hopefully, to be repeated. > Alec Dent at Bla Bla Car, a car sharing network connecting drivers and their empty car seats, with passengers. > Prashant Lagisetti, whose startup is Localoids.com, which connects travellers with locals. In addition, we were joined by a developer in the travel space, a currency swap startup (who crowd sourced a name around the table!) and someone with an idea for tailored city escapes. With apologies from OneFineStay who couldn’t make it. The evening started with welcome drinks before we sat for a delicious dinner courtesy of Central Working. 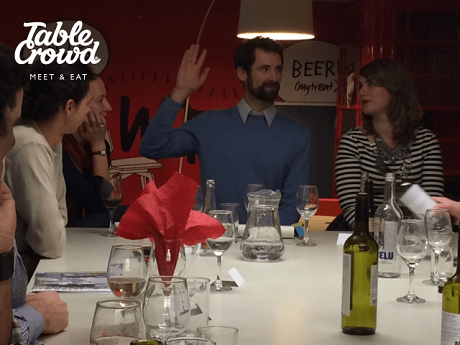 After we had all dined, we had round-the-table introductions for everyone to introduce themselves and their business, before Richard Brownsdon finished off the evening with a great after dinner talk and Q&A. 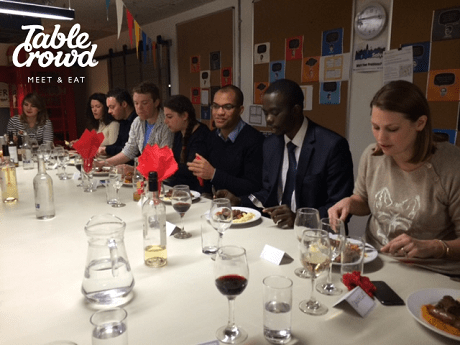 Thank you to everyone that joined our travel startups dinner and made it a memorable and valuable evening. Thank you to artwork sponsors, nerv, a full service digital agency that supports our #MeetandEat dinners. 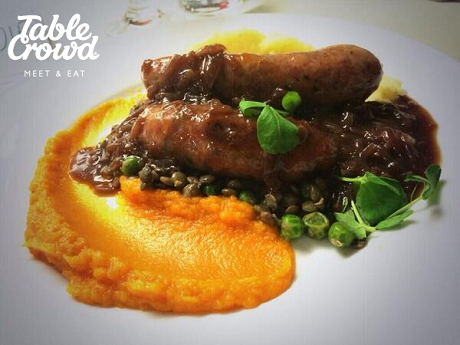 Next up, Ed Tech Startups “Meet and Eat” on 10th December. Please tell your buddies in that space!